This arrangement allows you to Empty on the right and send it to a box on the left. 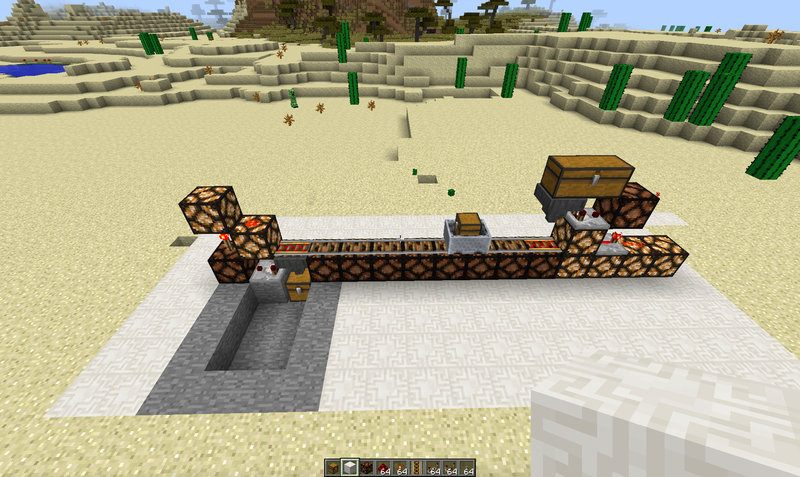 Please note: On the collection point (right hand side) there is a Not Gate using a redstone torch. 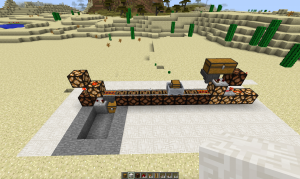 This entry was posted in Algorithms and tagged automation, hopper, Minecart, Minecraft, powered rails by mike. Bookmark the permalink.